The race points on the overall Clipper Race leaderboard have been updated for the final time before Race Finish and the fight for a podium in Liverpool is going to be fierce. Race Director Mark Light says: “This whole Clipper Race has been highly competitive right from the off. We have had some tremendous finishes and one that sticks in my mind is a photo finish between Nasdaq and GREAT Britain racing into Sydney. Adding to the excitement for the thirteenth and final race is that Visit Seattle is yet to play its Joker Card. If Skipper Nikki Henderson and her team decide to play the Joker, they will be in the box seat to leapfrog Sanya Serenity Coast and take out the overall win. The Joker Card will double any race points earned on the way to Liverpool, but as usual, it won’t apply to the bonus points on offer in the sprint. 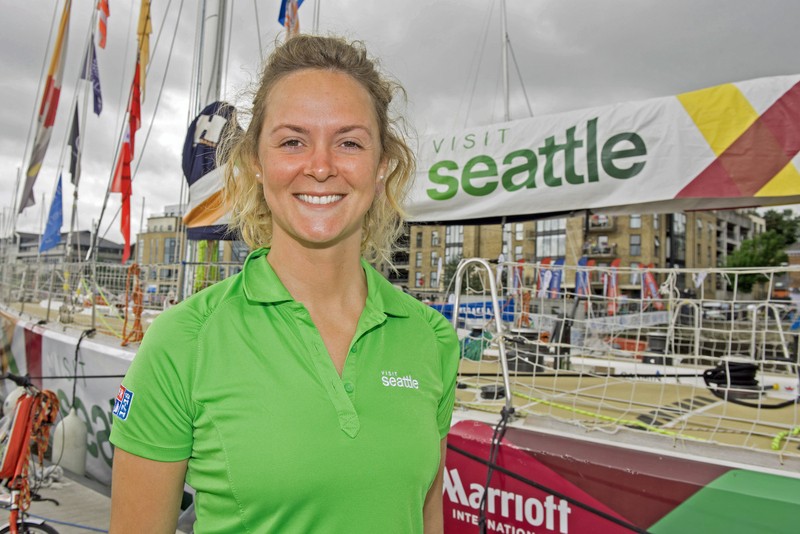 IMAGE: Visit Seattle Skipper Nikki Henderson. ©Martin McKeown. “The tensions are mounting for lots of teams as we enter the final Race with the overall podium positions still to be decided,” adds Mark. “Race 13 is made up of two parts – the race from Derry-Londonderry to Liverpool Bay for full race finishing points and then a Le Mans start leading to the Sprint finish all the way up into the finish line off Albert Dock. The Sprint Finish offers bonus points for the first three teams across the line – three points for first, two for second and 1 point for third. Race 13 from Derry-Londonderry to Liverpool will begin on Sunday 22 July.